Mallorca is one of Spain’s foodie hotspots and this 3-hour small-group tasting tour of Palma offers the ideal introduction. Along the way, soak up the atmosphere at the local market, sample an array of traditional dishes and regional delicacies, and sip a selection of Mallorcan wines. Meet your guide and small group of up to 8 people in central Palma in time for a 12pm start. 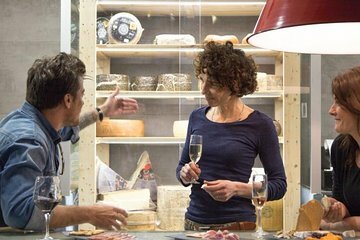 Accompanied by your guide, a local foodie, head to the local market to browse the stalls and taste regional specialties including cheeses and charcuterie. Continue your tasting tour as you visit up to four of the city’s bars and restaurants, sampling an array of Mallorcan foods, including the island’s famous stews, tasty flatbreads, and Mallorcan wines. Your tour ends around 3pm in central Palma.